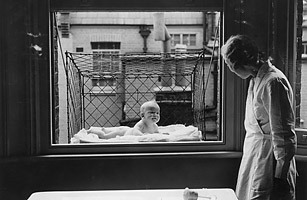 In the 1930s, London nannies lacking space for their young ones resorted to the baby cage. It's exactly what it sounds like: a creepy wire contraption, patented in the U.S. in 1922, that lets you claim that space outside your city window for your infant. Risky? Maybe, but so convenient. How sweet; how sick.